Mr. John M. Tereshinski’s successful career in the insurance industry began in Athens, Georgia and continued in Chattanooga, Tennessee prior to his joining Sterling Seacrest Partners. His dedication to integrity and professionalism, combined with an assertive work ethic provides a solid foundation to excel in offering insurance solutions for general commercial business, professionals, employee benefits and individuals. 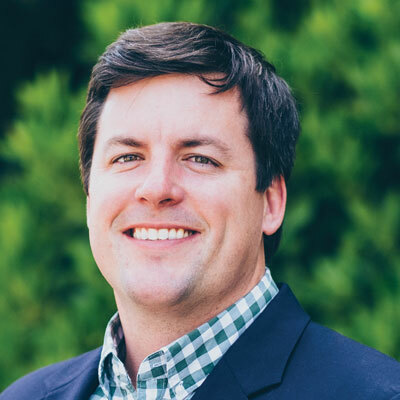 John received a Bachelor of Arts degree from Wake Forest University, with a major in communications and a minor in religion. While attending Wake Forest, John was a starter and four year football letterman. He was named to the All ACC Freshman football team in 2004, and was a key player on the 2006 ACC Championship team. After graduating from Wake Forest University, John played in the NFL with the San Diego Chargers and the Seattle Seahawks. John grew up in Athens GA, where he attended Athens Academy. He comes from a storied football family. John’s grandfather, Joe, played on the University of Georgia’s 1942 National Championship team and later played and coached in the NFL for the Washington Redskins. His father, Joseph, Jr. played college football and is currently head strength and conditioning coach for the University of Georgia Bulldogs. His brother, Joe T. III, is a former starting quarterback for the Bulldogs. All of the males in the Tereshinski family hold conference championship rings. John is dedicated in giving back to the community through motivational speaking to educational groups, youth groups and athletic teams. John looks forward to increasing participation in the Fellowship of Christian Athletes (FCA) and Sports Champions of Greater Atlanta.